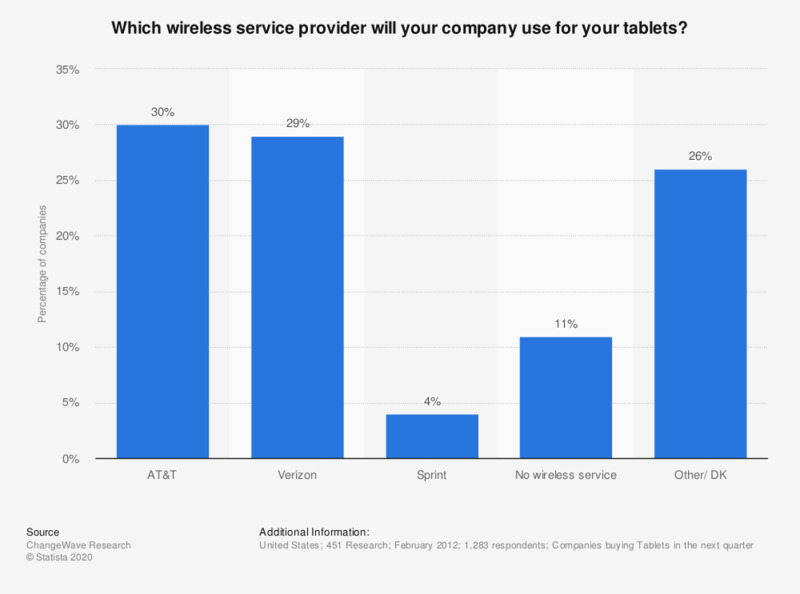 Which wireless service provider will your company use for your tablets? The statistic depicts the wireless service providers that companies will use for their tablet PCs in the second quarter of 2012. 30 percent of the companies will use AT&T for their tablets.